If you’re thinking of whitening your teeth, you’re not alone! Did you know teeth whitening is the No 1 requested service in dental? Although teeth are not meant to be fluorescent white, no one wants teeth that look like a row of corn. 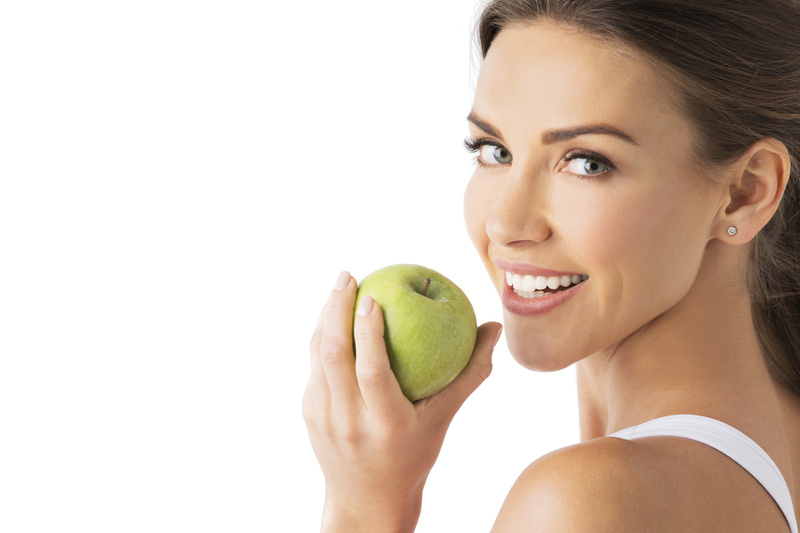 There are several lifestyle choices that cause our teeth to yellow, however there are some factors that are beyond our control and not everyone’s natural teeth can be whitened. Your dentist is the best person that can advise you on what will work for you. In some cases, it’s enough to remove stains by regular scale and polish at the dentists, followed by a good oral hygiene regime at home. A whitening toothpaste and a soft toothbrush are enough to remove stains caused by smoking, drinking tea, coffee, red wine or having a good feed of curry. Much like 40 is the new 30, teeth whitening is the new beauty regime. A brighter whiter smile is often associated with youth. Having glowing skin and then revealing stained discoloured teeth defeats the person of achieving a younger you. Just like we need to cleanse, exfoliate, tone, use serum and creams for younger looking skin, we need to brush, floss, rinse when striving for a younger appearance. Yes, poor oral hygiene can age you! The natural aging process can cause our teeth to yellow and start to appear old and unhealthy, therefore making us feel old and unhealthy. Whitening teeth can boost your confidence and make you want to smile more. People with stained, discoloured teeth are often embarrassed about the look of their teeth so avoid smiling. Think about all those endorphins their missing out on. If you’re happy with your appearance, your more likely to smile which makes you more attractive to others. Those who invest in a better smile are more likely to have better oral hygiene. 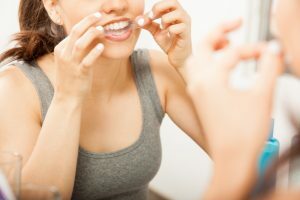 These people tend to care about the look of their teeth as well as their overall personal hygiene, therefore they invest the time to brush, floss, use a mouthwash and have regular dental check-ups. Not only will they look better but they are doing something great for their overall health. The mouth is the first stage of the digestive process and poor oral health has been associated with diabetes and heart disease. It’s not uncommon to have a whole bridal party to start whitening their teeth before the big day. They want to look their bests for wedding photos as it will be etched in memories for years to come. Often people have their teeth whiten before a job interview as they want to make a glowing impression. Teeth Whitening is a way to attain a youthful appearance with out any surgical intervention or expensive cosmetic dental procedures. It’s painless dentistry as there are no needles or drills. There may be some sensitivity depending on the method. Teeth Whitening is a chemical process and involves the use of carbamide peroxide or hydrogen peroxide. Anything else is a stain remover! This will give you instant results and you walk out with teeth several shades lighter. The in-office treatment is more expensive but for very good reason. Your dentist must invest in equipment and trained staff to correctly and safely administer the treatment. 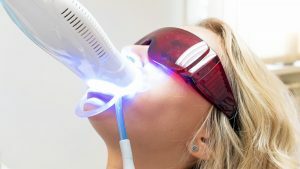 The procedure can also take up to 2 hours of chair time and the dental professional, will retract your cheek and lips plus apply a barrier on your gums before applying the hydrogen peroxide on each tooth individually. Then a whitening light machine is positioned to activate the gel. You may experience some sensitivity however the dentist will give you something to desensitize the teeth. The sensitivity is caused by dehydration of the tooth but don’t worry, your teeth will naturally rehydrate and remineralise to overcome this. The dental office will often also have some take home options which can be less expensive but will need to be use for up to 14 days to have similar results. Less expensive than the dentist and you pay for what you get. The individual administering the hydrogen peroxide is not dentally trained, do not have the know how to detect if you need other dental treatment before whitening. If you accidentally get the gel on soft tissue it will burn. Totally bogus and watch out for the modern-day snake oil salesmen! The light is useless unless there is hydrogen peroxide in the gel. If the product is natural than it wouldn’t contain hydrogen peroxide. Check carefully the ingredients list – bicarb soda can be abrasive and citric acid can cause enamel erosion. 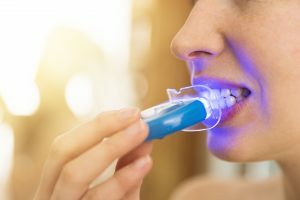 This is dangerous for those who haven’t achieved the results in the recommended time and continue to use the product hoping their teeth will become whiter. Your teeth will become more yellow as dentine starts show and enamel is eroded. This usually is 100% natural but again check the ingredients list. Charcoal or carbon is well known for absorbing stains and bacteria. 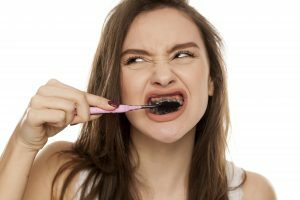 Brushing with activated charcoal several times a week will help remove surface stain giving your teeth a whiter appearance but cannot make the shade of your teeth lighter. 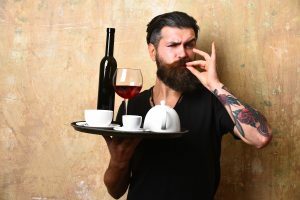 Majority of the charcoal powders on the market can be abrasive, which can cause enamel abrasion, so be cautious when choosing to use activated charcoal, plus it’s a messy affair. These are really designed to remove stains and again can’t lighten the shade of your teeth. Your teeth will appear whiter as it removes the stains and is great for maintenance after having whitening treatment. Mainly used for maintaining or boosting a white smile after you have had whitening treatment done but for those who would like to try out whitening for the first time, it can be a cost effective, easy to use alternative. The level of whitening you will achieve will depend on the strength of the ingredient. It is safe to use a 6% hydrogen peroxide strip and for best results the strips are used for 1-2 hours a day for 14 days. Remember, if you look good, you feel good, you smile, and it rubs off on others.